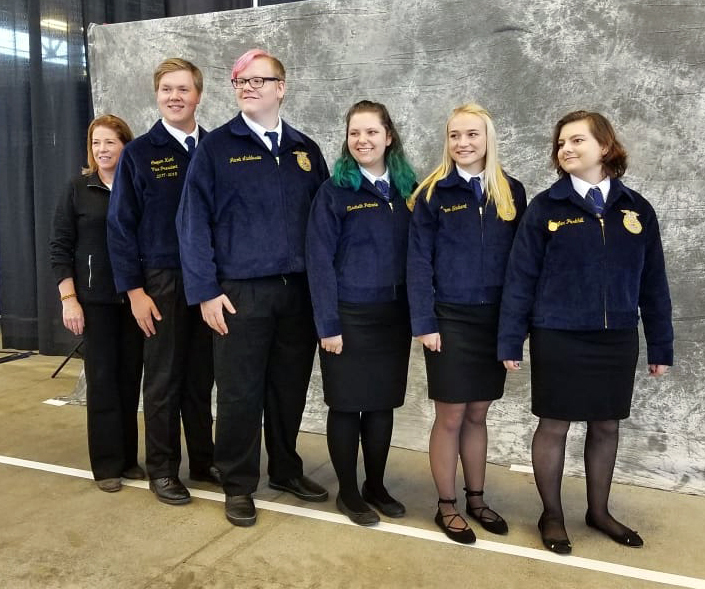 Woodland High School’s Floriculture Team placed eighth in the nation, representing Washington State at the National FFA Convention held in Indianapolis, Indiana. Woodland’s team earned the privilege of representing Washington following competitions at the local and state levels against teams from high schools throughout the state during the 2017-2018 school year. 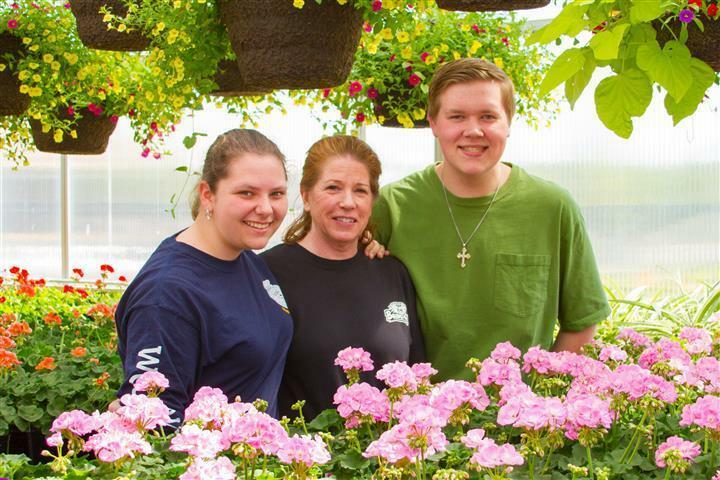 The FFA Floriculture Career Development Event (CDE) tests teams on their knowledge and skills in the production and retailing of flowers, plants and foliage. Team members complete a general knowledge exam on the floriculture industry; identify plant materials; demonstrate problem-solving and decision-making skills; employment and customer service skills; technical floral skills; and the ability to work effectively as a team. Woodland’s team received the GOLD Emblem and placed eighth in the nation, competing against state winners from throughout the United States. Woodland team members included Cooper Kaml, Jacob Laddusaw, Jennifer Parkhill, Elisabeth Patnode and Megan Shubert with Team Advisor Mary Ellen Vetter reprising her role as coach after retiring from Woodland Public Schools in June. Horticulture and plant science curriculum includes learning about the germination of seeds, proper watering techniques, and pest control. In addition, students receive a full education of the plant industry, meeting industry standards which are also aligned with state science requirements for common core. The National FFA Organization includes more than 650,000 student members and more than 8,500 FFA chapters in all 50 states, Puerto Rico, and the U.S. Virgin Islands. The FFA mission is to make a positive difference in the lives of students by developing their potential for premier leadership, personal growth, and career success through agricultural education. For more information, visit the FFA website at www.FFA.org.